Galloping down the edge of a highlighter blue lake, I wondered how I went from brushing my teeth and preparing for bed to this most unexpected and joyous ride. 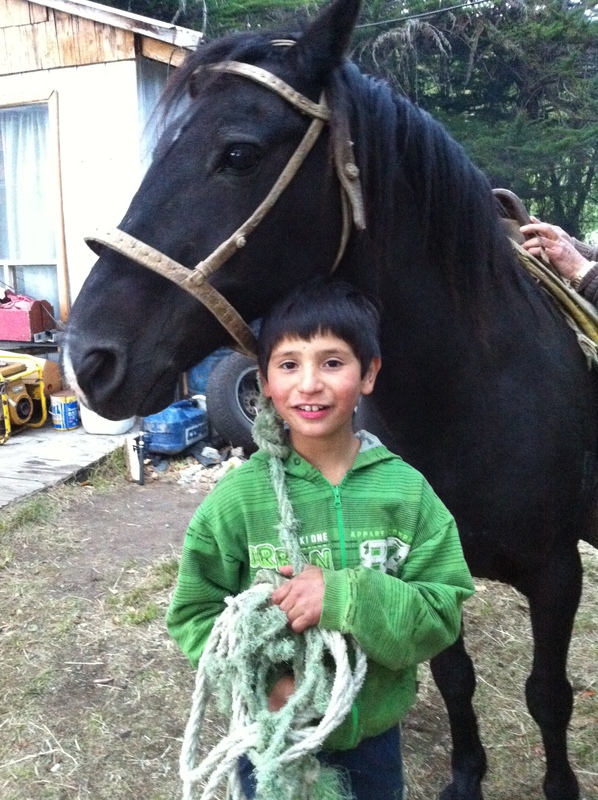 One minute I was heading to bed and admiring a black horse in the campground, and the next I was holding the reins to Noche Negra. Throwing my leg over the saddle, I realized I couldn’t remember the last time I rode a horse. Pushing hesitation aside, I sank into the sheepskin saddle and nudged Noche Negra forward. Manuel’s 9 year old grandson followed me down the dirt path and along the sandy beach, chatting happily while giving me riding advice. Within minutes I was galloping wildly down the shore of the lake, feeling like I had just stepped into a dream. Or maybe the Wild West. 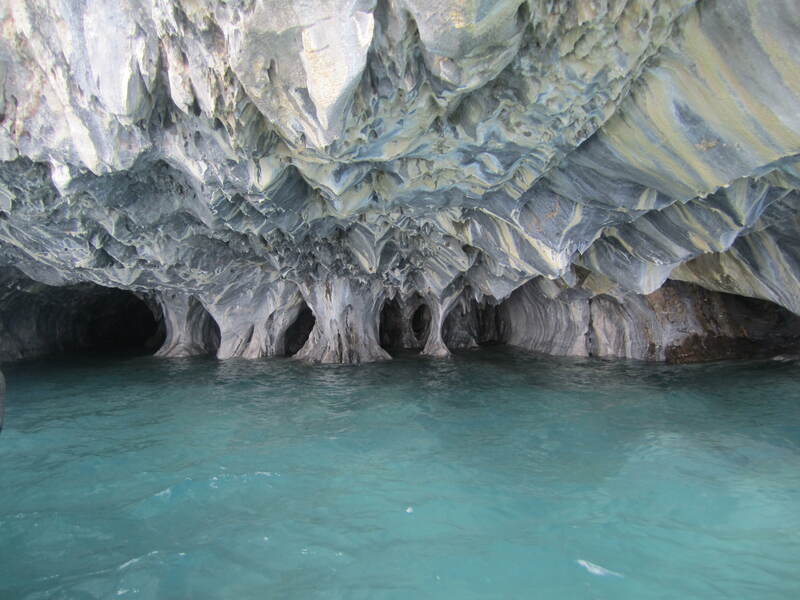 In early February we spent a night camping in Rio Tranquilo to see the Marble Caves along the Carretera Austral. Manuel, the proprietor of the lowest budget tour boat company and campground was in his mid 70’s and still full of energy; the life of the party in his tiny little cabin. He had very little, but offered it up anyway, charging only half the normal price to camp in his expansive yard. He shared his home and kept his large wood stove piping hot for the cold and wet campers to warm up around. Being set loose at twilight on Noche Negra was one of the highlights of the trip so far. The experience marked the end of our Carretera Austral adventures. Although we all missed the sunshine and warmth of the more northern latitudes, it was time to head deeper into Patagonia via the Argentina Ruta 40. We loved the Carretera and our little bikes did much better than expected, save for one hiccup: Along the Carretera just outside of Rio Tranquilo, Kath took a corner into deep gravel, sending motorcycle and rider careening down the road until control was lost. Wheels slipped out, and the motorcycle Rob dubbed “Crash Bandicoot” lived up to its name. With her right foot caught between Crash and the gravel, Kath was pulled down the road a couple meters before coming to a rest battered and bruised. As if things couldn’t get any worse, I had no chocolate to offer Kath and we were resigned to drink instant Nescafe while Rob patched Crash up as best he could, straightened a foot peg, fixed a brake, and took note of what needed to be repaired that evening. Kath being the trooper that she is, within an hour we were back on the road heading for Chile Chico, and then into Argentina. Glad she’s ok! You should do like that Scottish girl and switch to bicycles!